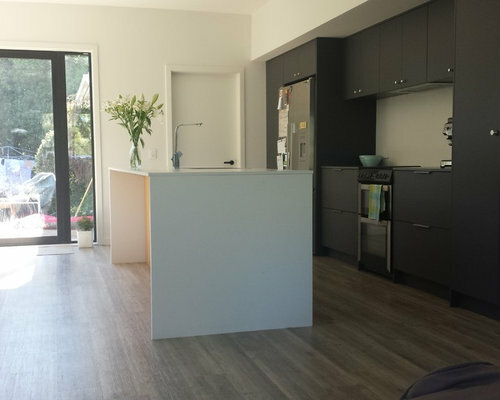 In this complete house makeover in Strowan our customers wanted to create a kitchen where the island felt like a piece of furniture separate from the back wall storage/cooking area. 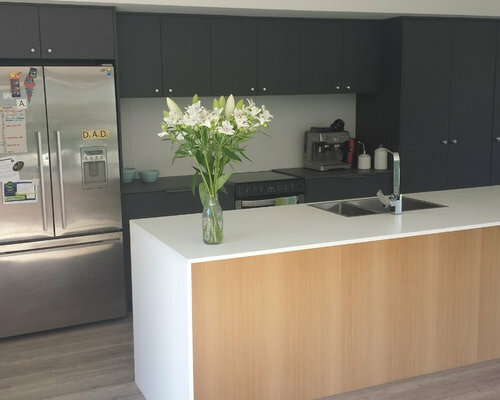 They created this by finishing the back wall cabinetry and benchtops in a dark colour while using white and wood for the benchtop and cabinetry on the island. 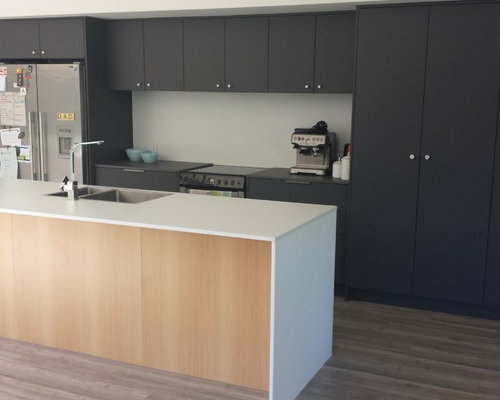 Our customers chose to have dark cabinetry and benchtops on the back wall (Formica Storm AR Touch with Dezignatek Slate Matt) with white cabinetry and benchtop for the island area (Formica Warm White Velour with Dezignatek Ecru Matt). 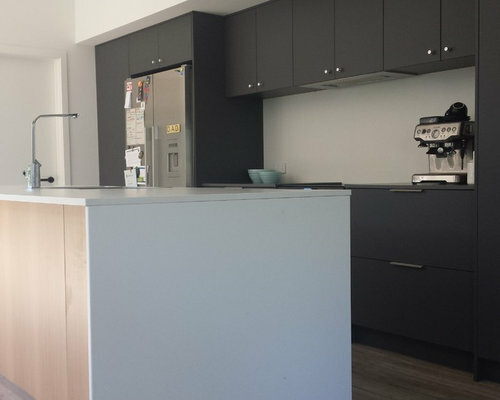 Our customers chose to have dark cabinetry and benchtops on the back wall (Formica Storm AR Touch with Dezignatek Slate Matt) with white cabinetry and benchtop for the island area (Formica Warm White Velour with Dezignatek Ecru Matt). 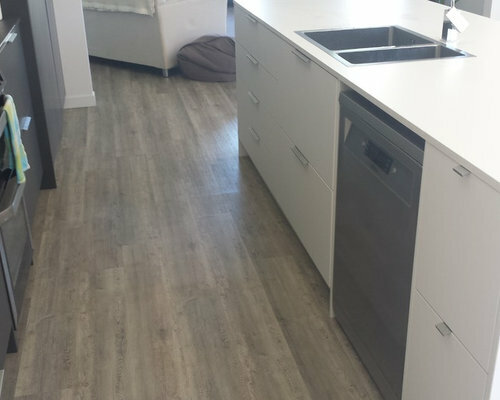 The backing panels on the island are finished in Prime Melamine Tawa.